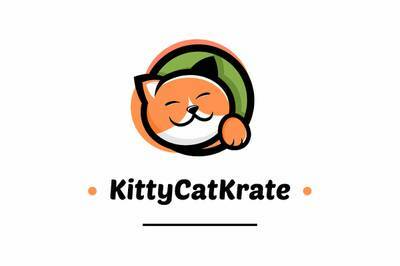 Enter your email address below to receive a notification when KittyCatKrate starts accepting new sign-ups! Enter your email address below to receive a notification when KittyCatKrate is accepting new sign-ups again. Your 1st box will be shipped within 4-6 business days and you can expect to receive the current themed quarterly KCK. For your following deliveries, we ship out Sept 1st, December 1st, March 1st and June 1st. 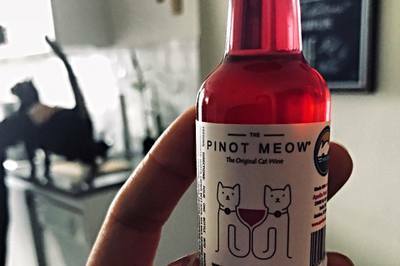 KittyCatKrate - It's a Cat Party! 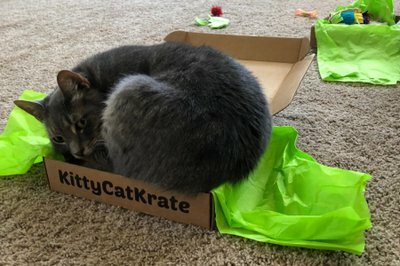 A krate full of goodies delivered right to your kitty every 3 months! 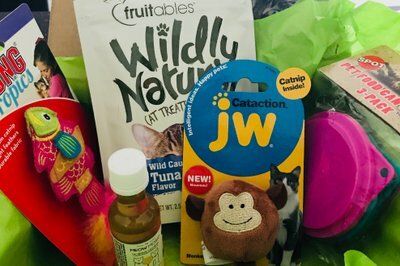 Our Quarterly deliveries contain a variety of 7-10 products including top of the line cat toys, all-natural treats along with various fun and healthy kitty products. We donate 1 can for every KCK sold to various cat shelters. 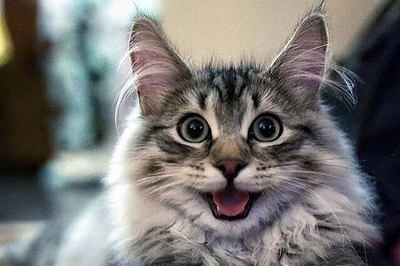 We donate 1 can of food to a cat shelter for every KCKrate sold! 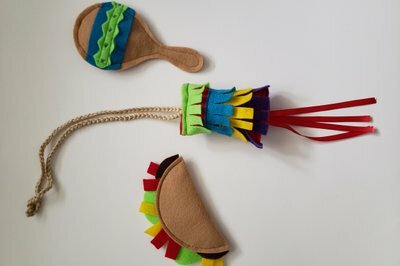 My cats loved the handmade toys, some filled with cat nip. The treats were great too. Great box! 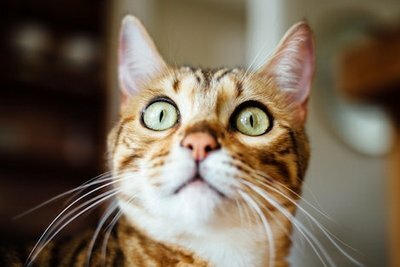 I brought my kit in at night, opened it and then left it on the counter. My cats found it in the night and got everything out of the box and seemed to have a great time playing all night. 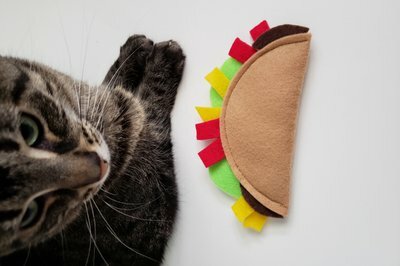 The taco toy has been a particularly huge hit with both my cats. It's been in play with one or both cats all night and all morning. The cat treats were also appreciated by both cats. 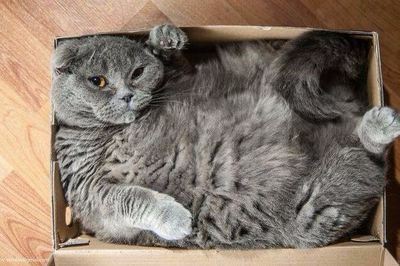 Great box- my cats are very satisfied and happy.